Chimpanzees are remarkably similar to human beings. Although they’re considered as an endangered species, you can still legally own one in the USA. Chimps originate from West and Central Africa. If you want to own one you are looking at up to $60,000 just to buy one! Chimps ain’t cheap. You need to consider many factors when thinking about owning a chimpanzee. Chimps are extremely intelligent, highly territorial, and like some human beings, they will strike on a whim. Weight wise, Chimps can grow to be 100 pounds or more and they can live for up to 60 years. The average upper-body strength of a chimp is five times the same strength in a human being! Some would consider owning a chimpanzee as a “status symbol”. If you have the money, be sure that you are aware of what it takes to own one of these beautiful creatures. Chimpanzees and baby monkeys are so cute, so you might think that raising one would be like raising a little child. Chimpanzees in their infancy, are affectionate, require love and attention and delight in interacting with humans. But they grow up fast, physically and intellectually. So this makes it very challenging to keep their minds stimulated and content in human environments. By five years old, they have more strength than most adult humans! They can become quite destructive and grow to resent discipline. And yes, they do bite! Warning: Chimpanzee owners have been known to lose their fingers and suffer from severe facial damage. Many chimpanzee owners won’t often travel as it’s hard to find suitable carers for their pets. In addition, they are likely to rebel if their owner comes in late from work or has an irregular schedule. Space is a huge obstacle to chimp ownership. The average home isn’t big enough to keep them actively happy. It’s impossible to train a chimp to behave exactly like a human. Chimpanzees naturally show signs of aggressive behavior. In the wild, it’s not uncommon for them to bite each other. Owners have been known to delay that day where they inevitably have to give up their chimp, by pulling out their teeth, placing shock collars on them, and some have been known to go as far as removing their chimp’s thumbs in a mistaken notion that it will make climbing the drapes impossible. Sadly, a day will come even despite all of your best efforts, that the chimp must leave! Owners sometimes feel betrayed by their animals, after raising them for so long and dedicating their love and care to them. Unfortunately, chimps can’t be just sent back to Africa. Most of the zoos won’t accept ex-pet chimps as human-reared chimps won’t know how to fit into established chimpanzee groups. So tragically, a lot of pet chimpanzees do end up being used for research in medical labs. Are you sure you want a pet chimpanzee? So you have a dog, a cat, some goldfish and you might see the odd mouse run across your kitchen floor in the winter time. But you want more. You need something different, something exciting and quirky. 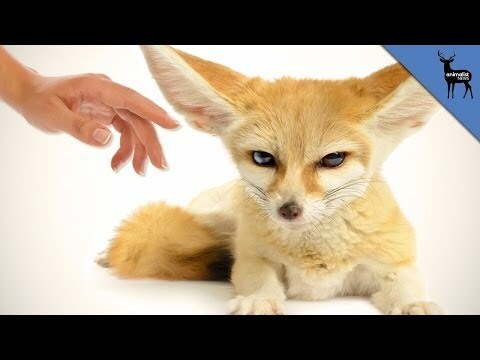 What you need is an exotic pet! These are a native of the rain forests of West Africa. They are shiny and black and look a little scary with their big claws out front. But these unique qualities are why some people like to keep them as an exotic pet. The Emperor Scorpion is actually the most common breed of scorpions to be kept as an exotic pet. Globally, they are one of the largest scorpion species around. Some of them do grow up to eight inches in length! Although they look rough and tough, they are actually known to be quite docile. The venom that the scorpions carry is fairly mild. Despite a mild venom, it will still hurt your if they sting or pinch you due to their large claws. Have you ever watched the film Arachnophobia? Some people will just run out of the room screaming if they see a tarantula! While others aren’t afraid and just walk calmly towards them. Tarantulas can be found everywhere besides the Antarctica and believe it or not, have a lifespan of 10 and 25 years! Their size can range from as tiny as your fingernail to as big as a fruit bowl. They have eight legs and two fangs so this causes them to appear rather intimidating. Despite this, Tarantulas would rarely bite humans. Many species of these are out there, but the most popular ones as pets are the “Chilean Rose-Haired Tarantulas”, simply because they are large in size so are easy to care for. Moving away from spiders and scorpions, these cute little things are marsupials and come from the same general species of the Kangaroo. They also originate is Australia, Indonesia, and Papa New Guinea. They have a lifespan of 10 and 15 years. The can reach about seven inches long and weigh only about 5 or 6 ounces. Not surprisingly, their love of sweeter things and gliding through air ability lends to their name. These spiky little critters hail from Asia, Europe and also Africa. They have a lifespan between 3 and 8 years. Weight wise, up to 1.5 pounds is common, while their little spines can reach a length of 1 inch. They are harmless, quiet animals they have a high “adorable factor”. This makes them an ideal exotic pet but they do require much care and attention. Enough to get you started? These are just some of the many exotic animals you can own as pets. Keep an eye on our other articles for more ideas for the wonderful life of exotic pet ownership. In some countries, there is little or no legislation for the welfare of exotic pets owned by people. Across the internet, one can frequently see exotic animals such as monkeys, wallabies, zebras and even raccoons in addition to rare snakes, reptiles, turtles, and spiders. Sadly, these animals can often be sold to people with very little knowledge and understanding of care requirements for these wonderful creatures. Keeping them in a healthy and comfortable environment which is also safe for them is so important. Also, people tend to be unaware of the financial burden some exotic animals can place on their owners such as building or buying special living environments, specific foods, and routine healthcare requirements. Some countries require a license to be held by the owner if they want to buy or sell an exotic animal. Knowing the legislation and legal requirements for your state and country is important if you are considering buying an exotic pet. The best way that countries can have some degree of control over exotic pet ownership is to introduce a registration system for exotic animals, micro chipping them to prevent and reduce potential animal cruelty and neglect. Traditionally, cats, dogs, and goldfish were the go-to pets that people wanted. Now though, the city zoos are no longer the only place to find wild and wonderful exotic animals. It is believed as high as twenty million people in the US have some kind of exotic pet at home! Some of these animals will beg the question of why one would wish to keep these at home, while other ones will get you excited and urge you to look up how and where to buy one due to their cuteness appeal! Today, pet owners want something different, something special that helps them stand out from their friends. It’s a misconception that exotic means dangerous or wild. Whereas, exotic actually means a species that is simply not a native or indigenous to the pet owner’s location. As mentioned above under licenses, there are websites and forums available online to explore further if your state has certain laws relating to exotic pet ownership. Surprisingly, most animals are actually legal in the US. However, due to injuries, the risk of extinction, pets escaping, and human-animal health concerns, each US state does have its own legislation’s in place relating to which specific exotic pets you can or cannot own. As an example, around two dozen US states, which includes Vermont, New Hampshire, and California have a ban on exotic pets so be sure to do your homework through research with the government in your state.